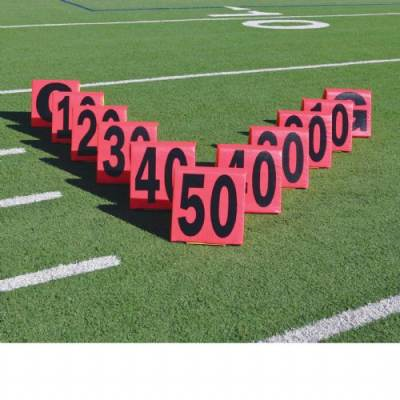 Day/Night Sideline Marker set offers high visability and durability. 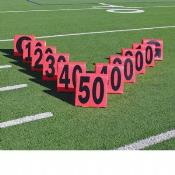 Foam filled sideline markers for Day & Night games. Folding design for flat storage. 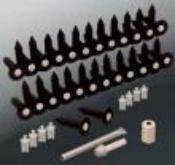 Hook and Loop fasteners with weighted bottom to maintain upright position. Soft, crushable foam core inside durable vinyl cover. 15" x 15" with 13" High Numbers.